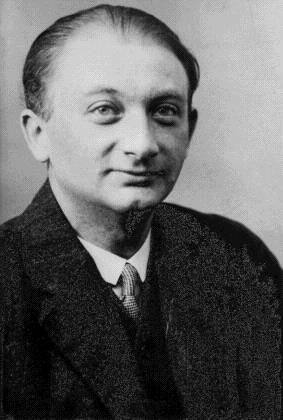 From Jacob Frank to Ivan Franko, and from Joseph Roth to Joseph Conrad and Joseph Brodsky, here are some very different writers, all of whom engaged in a complicated relationship with the Polish language. Their stories serve as proof of the magnetic attraction once exerted by Polish language and literature, and the universally inclusive aspects of Polish culture. Is Polish language peripheral or universal? And what future lies ahead for it? These must have been the questions some of these writers had surely asked themselves. Their answers were complicated and often turned out to be crucial life-changing decisions. While some later became classics of literature in other languages, others chose the language and stuck with the decision (often producing a highly peculiar kind of Polish idiom). For some, the choice of language was a manifestation of political and national identity, and for others, a blind alley. For all its complexity and contrast, this list testifies to the great force of attraction and influence Polish culture and literature has had on writers across epochs and geographies. One thing is certain: each one of them tells a different story about Polish culture. Jacob Frank stood behind the biggest schism in the history of Judaism in Poland, when, in the mid 18th century, he led thousands of Jews to convert to Christianity, effectively establishing a new religion known as Frankism. But when he arrived in Poland in 1755, this charismatic leader of the Sabbataian sect probably had no knowledge of Polish whatsoever (nor Yiddish, for that matter). At the time of his arrival in Podolia, Frank was definitely fluent in Ladino and Turkish, as he was raised in the Ottoman Empire, but did not speak any of the more useful local languages. Does Jacob Frank Hold the Key to Polish Culture? It was only during the 13 years of his confinement at the Jasna Góra monastery (where he was held captive as a potentially dangerous heretic by the Catholic authorities) that Frank eventually learned Polish. His esoteric lectures given later to his disciples in Brunn, Moravia, and published as The Words of the Lord (see the English translation), are the most remarkable testimony of Frank’s highly unorthodox and bizarre variety of the Polish vernacular. Before I.L. 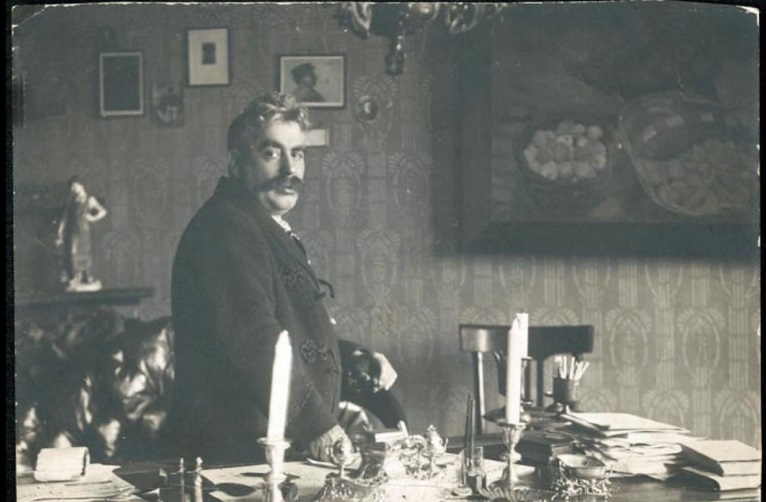 Peretz became the father of modern Yiddish literature he tried his hand at writing both in Polish and Hebrew. Polish was actually the language in which he wrote some of his first poems in 1874. He would begin writing in Yiddish only much later, publishing his first book in 1888, which coincided with his move to Warsaw in 1889, at that time the biggest Jewish city in the world. Very shortly afterwards, his apartment at Ceglana Street became the quasi-centre of Yiddish literary life in Poland. Although he would later consider his youthful Polish poetic production as artistically flawed and ideologically wrong and would never return to writing in Polish, he made sure to follow the latest trends in Polish literature and the Polish press, engaging in polemics with Polish writers and journalists. In the history of literature, Joseph Conrad is known primarily as an English writer. And correctly so... 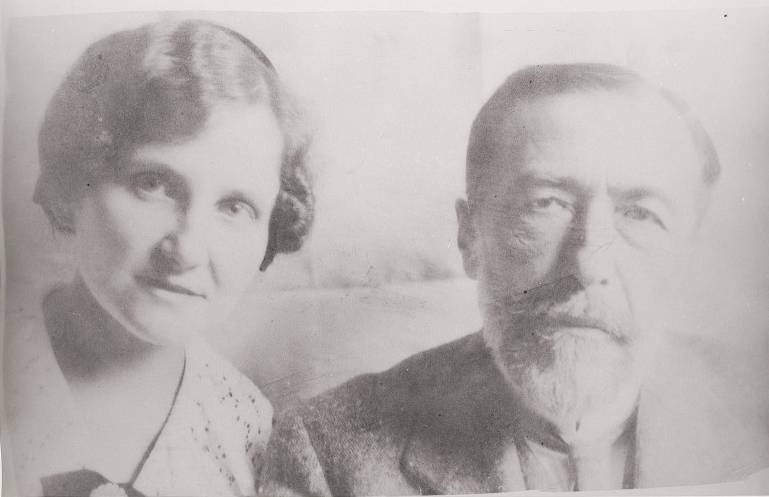 But for Józef Teodor Konrad Korzeniowski—which is Joseph Conrad’s real name—English, the language of all of his literary works, was actually the third that he learnt. Born into a very patriotic Polish noble family in Berdyczów (present-day Ukraine) Conrad started writing aged 11. His first drama pieces were written in his native Polish, but at this time he knew also French, which he had learned from his French governess. He learned English only much later as a young man—a sailor on French and British ships. And it was precisely this language that he chose for his writing, publishing his debut novel Almayer’s Folly in 1895. Throughout all these years Conrad maintained contact with the Polish language, mainly through his long-time correspondence with uncle and mentor Tadeusz Bobrowski. Until the end of his life Conrad spoke a beautiful, pure variant of Polish from Kresy (the eastern parts of the Polish Commonwealth) which unlike his English pronunciation, was reported as particularly accent-free and clear. Franko, one of the most prominent and prolific Ukrainian writers, was basically a trilingual artist, fluent in Ukrainian, Polish and German. He was born in Nahuievychi, a small village in the Drohobych region. It was in Drohobych that Franko attended a gymnasium where he learnt German and Polish (after the reform of 1867 many schools in Galicia were switching the language of teaching from German to Polish). In fact, as one of his school teachers remembered, Franko’s Polish papers were better than those of his Polish colleagues. One such school essay—containing a harsh polemic with the poetry of Polish Romantic poet Adam Mickiewicz —was met with a very strict response from school staff, and it also initiated a very troubled relationship with the Polish poet which lasted for all of Franko's life. Franko went on to become a great admirer of and expert in Polish literature and, as Yaroslav Hrycak notes, at a certain point he was even considered a Polish poet. In Polish Franko wrote numerous articles,a s well as at least two novels. Just like Y.L. 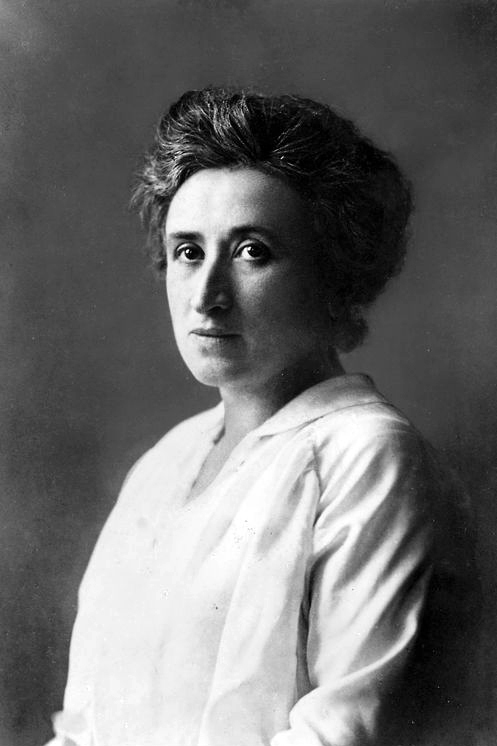 Peretz, Rosa Luxemburg was born in Zamość, only to leave with the whole family two years later and settle in Warsaw. She would live in the Polish capital until 1889, when facing arrest by the Russian police, she left for Switzerland. Although she is mainly known as a German-language author, Polish was her native tongue (spoken by the Luxemburg family at home). In fact, throughout all her life Róża, which is her name in Polish, maintained a very emotional relation with her mother tongue. She remained an avid reader of Adam Mickiewicz, whose poems and Polish literature she studied in secret classes in Warsaw (this was a time of intense russification of Polish schools). One of the most fascinating testimonies of her remarkable attitude to the Polish language is her correspondence with her husband Leon Jogiches, also a Marxist revolutionary like her, but unlike her not a native speaker of Polish (Russian was his first language). In her Polish letters to her husband, full of tenderness and deep attachment, she often complains about her husband’s Polish—and in her purist and hyper-correct approach to the Polish language she can be at times really ruthless. At one point she even threatens Leo with a beating for the low quality of his Polish. M.K. 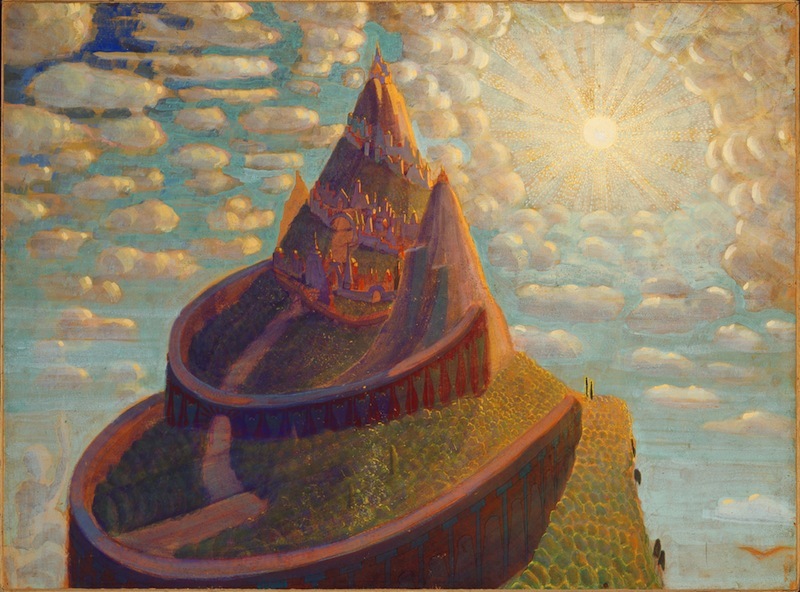 Čiurlionis, the national Lithuanian composer and painter, remains one of the most remarkable figures of European modernism at the turn of the centuries. A synesthete, he is primarily known for his prolific production of Symbolist paintings (around 300) and Impressionist musical compositions (400), all of them created during the 10-year-long creative period of his life. Much less is known about his written output, all of which was written in Polish. 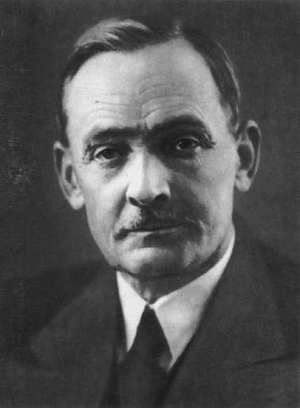 Čiurlionis was born in Stare Orany (today, Lithuania: Senoji Varėna) and like many other educated Lithuanians of the time spoke Polish at home. One of his greatest literary fascinations, which also affected his art, was Polish Romantic poet Juliusz Słowacki (one of the key influences on Čiurlionis was the long poem Król-Duch [King-Spirit]), many of whose poems Ciurlionis knew by heart. It was only through his fiancee Sofija Kymantaitė that Cirlionis started to improve his Lithuanian. Polish is the language of both Ciurlionis' correspondence and his more daring literary production, which, however, did not survive in its original Polish original. As Vytautas Landsbergis points out, only excerpts from those elaborate diaries and depictions have survived. With the original Polish manuscripts being probably irretrievably lost, and only fragments surviving in the Lithuanian translation, we really don’t know what kind of writer Ciurlionis might have been. 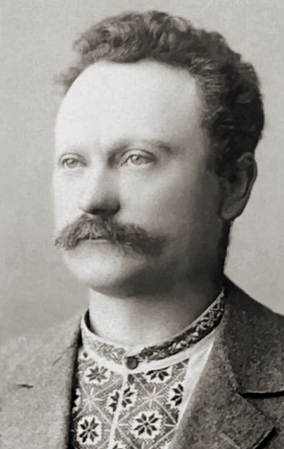 The national poet of Belarus Yanka Kupala was born as Ivan Daminikavich Lutsevich in Viazynka, Minsk region, to a landless, pauperised noble family. 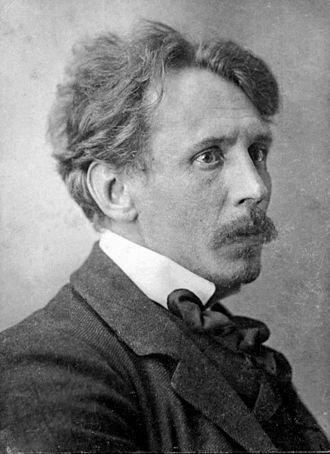 He debuted in 1904 with a poem written in Polish but already a year later, inspired by the writings of Belarusian patriots like Bahushevich and Dunin-Marcinkiewicz, he started publishing in Belarusian (a decision his mother could never understand as she believed that the real poetry could only exist in Polish). His early poetry can be seen as a link between the tradition of Polish Romantic poetry with Slavic folklore and Russian symbolism. Since 1907 he collaborated with the key Belarusian newspaper Nasha Niva, based in Vilnius, becoming a key figure of the Belarusian national movement. This great Austrian writer, the author of The Radetzky March, was born in 1894 in Brody, a small town in western Galicia, inhabited by Poles, Ukrainians and Jews. Like Ivan Franko, Roth owed his knowledge of Polish to his school-days in Brody, where he attended a German gymnasium which by his time, however, was turning to Polish. As a result, Roth studied some classes, like Polish literature, in Polish. His first school poems were written in Polish and German (unfortunately only one Polish poem has survived). In 1913, following his Matura exam in Brody, Roth enrolled on the Polish language Lviv University which however he left only two months later. He resettled in Vienna to study German literature and eventually become a great writer of German-language literature. About his Polish language skills he would later say: "My knowledge of Polish language reaches from Brody to Kraków”. The classic of 20th-century Yiddish poetry Awrom Sutzkever (1913-2010) was born in Smorgonie (Russian empire, today: Lithuania), but spent most of his childhood in Siberia. In 1921 the family resettled to Vilnius where Sutzkever attended heder and gymnasium. He would later enroll at Stefan Batory University. 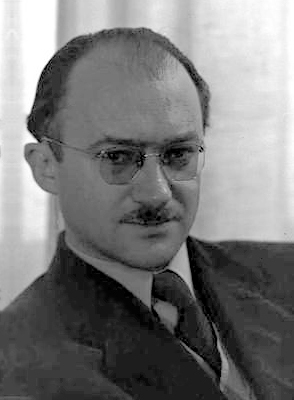 Sutzkever, who was a member of the Yiddish avant-garde group Jung Vilne, wrote poetry that bears the influence of both Russian and Polish poetry, most notably that of Bolesław Leśmian and Cyprian Kamil Norwid, whom Sutzkever dedicated the central poem of his 1937 debut book of poetry Lider. Speaking about this poem, Daniel Kac, the monographer of Sutzkever, remarked that in it Sutzkever managed to give the Yiddish language the Norwidian sound and form. During the war Sutzkever managed to flee from the Vilnius ghetto and after a time spent with a Jewish military troop fled to the Soviet Union. After the war, he returned to Poland, only to emigrate to Israel in 1947. It was in the avant garde circles of pre-war Vilnius that Sutzkever became acquainted with Czesław Miłosz. Many years later, in 1979, when the poets made contact again, they would use Polish in their correspondence. Daniel Kac recalled that even in his last years Sutzkever could quote from memory the Polish poems of Leśmian, his favourite being Dziewczyna. 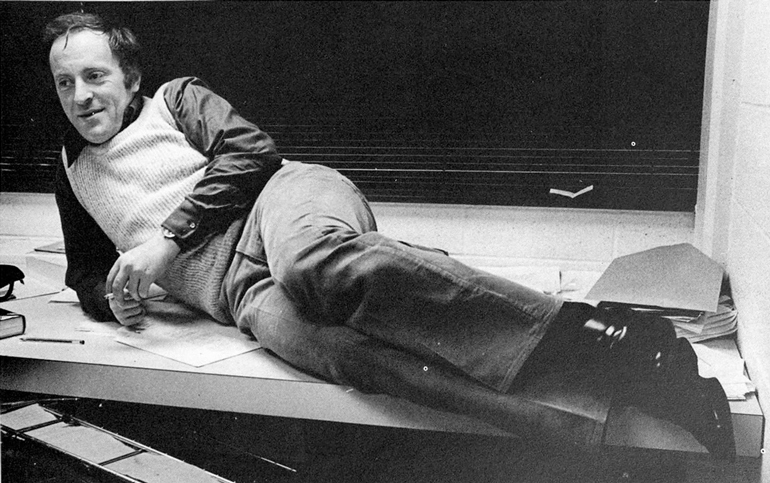 Joseph Brodsky, the Russian poet and the winner of the Nobel Prize for Literature in 1978, may have not literally written in Polish, but he was definitely fascinated with Polish culture and the Polish language. This fascination dates back to the 1960s and the Khrushchev Thaw, when Poland became the most liberal country in the Soviet Bloc. At that time, many citizens of the Soviet republics perceived Poland as a doorway to free, uncensored culture—a window to the West. As a result, many Soviet intellectuals, like Vladimir Bukowski, Natasha Gorbanevskaya, Tomas Venclova, and Brodsky, learnt Polish. Brodsky would translate Polish poets: Gałczyński, Norwid, Harasymowicz, and Miłosz. Even much later, as a Russian dissident and emigre, Brodsky enjoyed speaking Polish with his Polish friends, despite the fact that he was not the most fluent in it. He had also the greatest admiration for Polish culture, he believed the Polish spirit of rebellion was the major force behind the collapse of the Communist system, a regime he had considered one of the greatest evils that had ever befallen the world. In 1993, upon receiving an Honorary Doctorate from the Silesian University in Katowice, he would say that he had learnt the art of rebellion and resistance from the Poles—and that, in this sense, he qualifies for the title of the honorary Pole.